When you’re searching for furniture to use in upcoming design projects, you only want the best for your clients. It can’t just look good. It also has to be the best quality at a competitive price with stand-out features that match your interior design style. 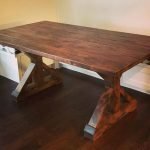 Reclaimed wood and live-edge tables and desks are a hot trend in solid wood furniture right now. And that means there are more and more options on the market for purchasing live-edge designs and reclaimed wood furniture. But not all solid wood furniture is created equal and you’ll want to make sure you’re getting the best quality for your clients. Solid wood isn’t just pretty. It’s a durable option for furniture in the private and corporate setting. With a little care, solid wood furniture can last for so many years. A family table becomes a beloved heirloom. Or an impressive office desk may become a fixture in the CEO’s office for the life of the company. When your clients want long-lasting furniture that’s clearly well-made, solid wood is the way to go. 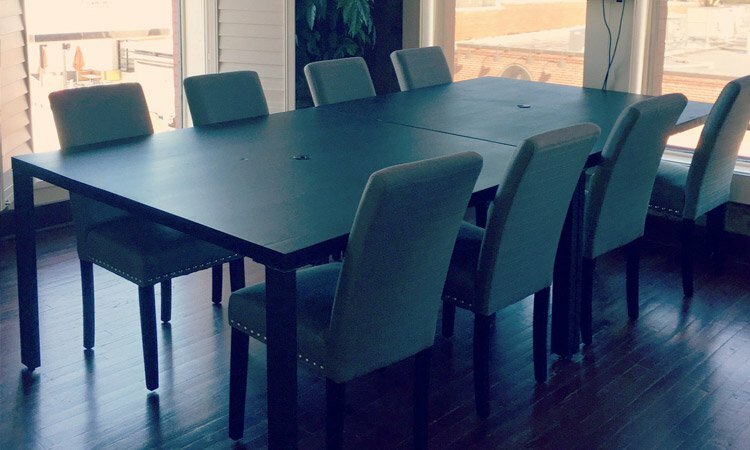 Few furniture styles speak to elegance and quality better than a solid wood desk or conference table. And here at Rustic+Modern, we’re committed to making sure you and your clients receive the best piece of furniture you can possibly get. At Rustic+Modern, we offer live-edge and reclaimed wood furniture done right. We don’t take shortcuts or skip over important details. Whether natural or hand-carved, our live-edge designs are just as sturdy as our more traditional furniture options. And they’re available with the same innovative blend of rustic wood and modern metal as our other furniture. Wood is a renewable resource, which makes even our new wood pieces a green product. Using reclaimed wood takes this a step further by making something old new again. And we’re very careful about the reclaimed wood we use. You won’t find damaged or poorly handled reclaimed wood in our furniture. Only good, sturdy, properly treated woods. Customization is one of the biggest advantages you get with Rustic+Modern. We’re not just mass-producing standard tables and desks. We customize every furniture piece to fit your style and your client’s needs. Even our standard styles are available with custom choices for wood type (including reclaimed wood), different finishes, and options like hand-carved live-edge. We also customize to your specifications for width, length, height, and table thickness. And if you have something other than a standard table or desk in mind, get in touch with us. We’re happy to work with architects and interior designers to customize a design to fit your specific project. 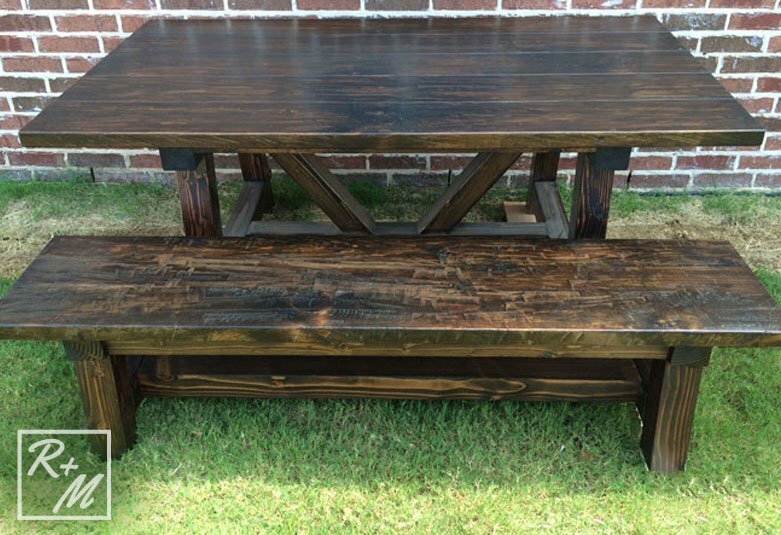 Reclaimed wood tables are becoming more popular as the reuse/recycle trend spills over into the furniture industry. 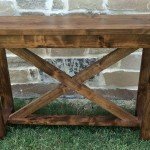 You’ll see reclaimed or salvaged wood furniture promoted in stores and DIY projects, such as building bed frames out of old wood pallets, all over the internet. 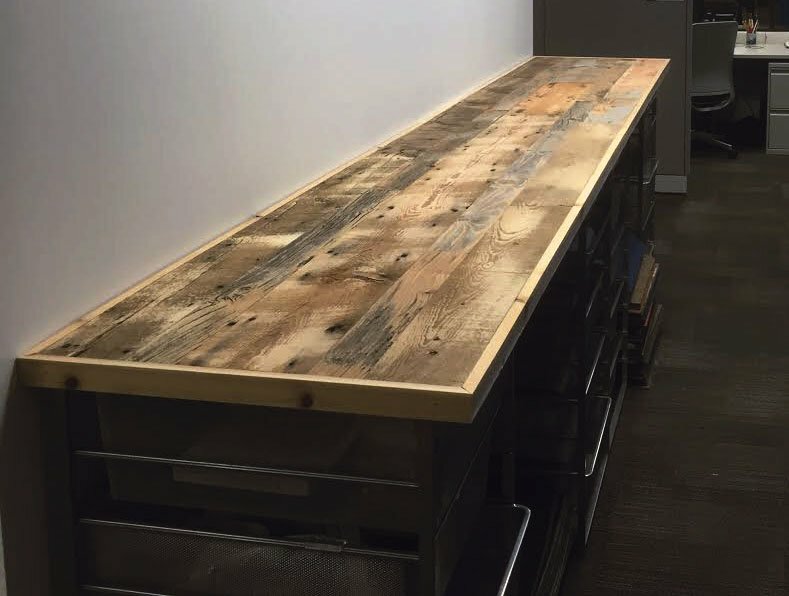 Here at Rustic + Modern, we offer reclaimed wood as an option when you’re ordering a customized table. But how, exactly, do we define reclaimed wood and does it work as well as other woods for making tables? Keep reading for answers. Simply put, the term “reclaimed wood” refers to wood that was used for one purpose and is now used for something else. 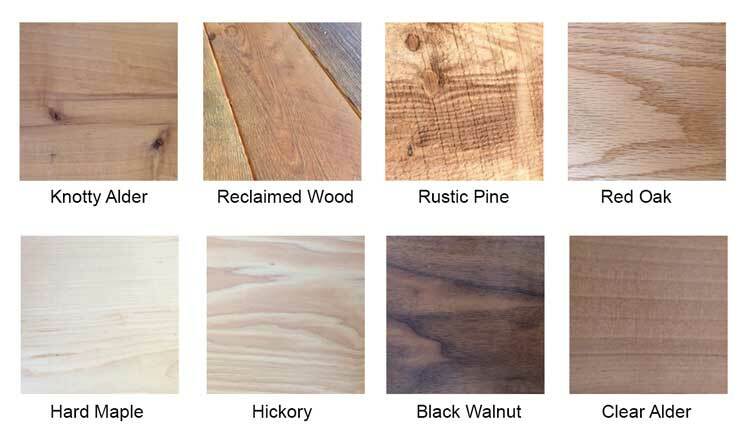 Reclaimed wood can come from a variety of sources, including everything from railway ties to wine barrels. Here at Rustic + Modern, we typically use 100+ year old long leaf pine that we source from many deconstructed homes, barns and buildings in north central Texas. Other reclaimed wood options are also available upon request. It depends. Using reclaimed wood from old pallets, railway ties, or buildings with an unknown history can result in wood that contains things you don’t want in your home. If you search for information about reclaimed wood, you’ll find warnings about insect infestations, unknown chemical wood treatments, and other potential dangers. For a table made from reclaimed wood to be safe, the people working with the wood need to know its history and how to treat it. We’re familiar with where our wood comes from and are careful to offer reclaimed wood furniture that’s just as safe as the tables made from new woods. Are These Woods Environmentally Friendly? Recycling is good for the environment. By using reclaimed wood, we can give new life to old woods and cut back on the demand for new trees being harvested. Reclaiming wood is much better than putting it in a landfill or simply burning it. It’s rare that reclaiming wood has a negative impact on the environment. The only time reclaimed wood isn’t environmentally friendly is when the reclamation process eats up large amounts of fossil fuels. That can happen when reclaiming expensive, exotic woods and then shipping them thousands of miles before they’re processed. Our reclaimed wood is harvested locally, however, and it does qualify as environmentally friendly. 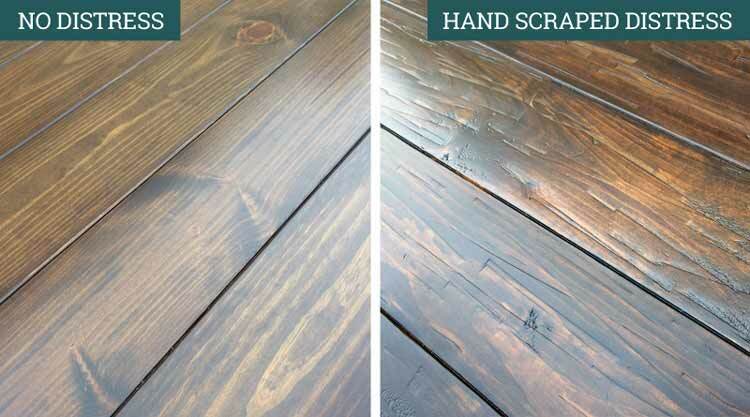 The quality of reclaimed wood varies. 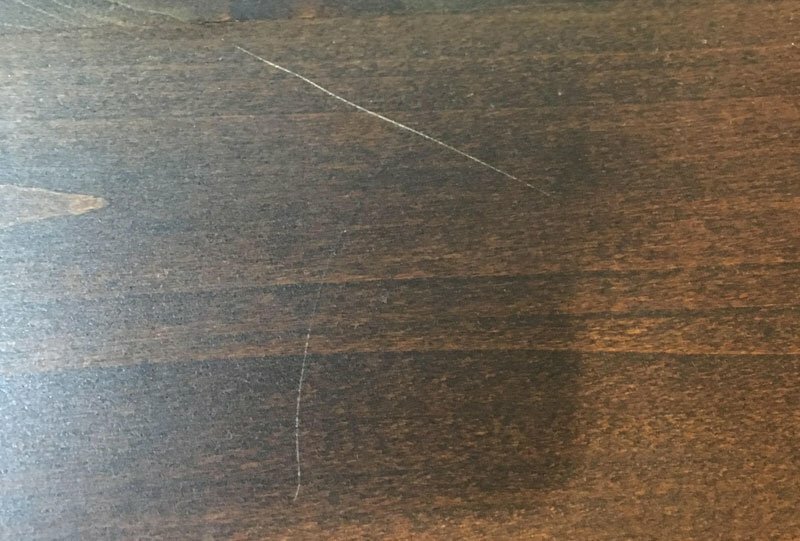 Some mass-market dealers will sell “reclaimed” wood furniture that is poor quality or isn’t really reclaimed at all. But if you’re buying from a reliable source, reclaimed wood can be even stronger than virgin wood. This is because the older woods often came from old-growth trees. Most of our reclaimed wood is 100+ year old long leaf pine. This wood is vastly different than the pine you will find at your local home improvement store. Some also call it “Heartpine” because of its large heart center with minimal surrounding sapwood. This heart section is very dense and is unrivaled in beauty, strength, and durability. 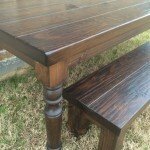 We can use reclaimed woods in a variety of tables, so check out our different styles to see what’s available. For more information or to request a quote, call (469) 347-2484 or send us a message. In the corporate setting, furniture should be both functional and impressive. Furniture is one of the major decorating elements that sets the tone for interior spaces like offices, reception areas, and conference rooms. 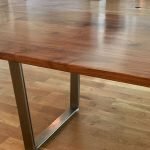 If you’re looking for beautiful, hardwood furniture that fits the unique style and space of your corporate setting, you’ll appreciate our high-quality custom furniture pieces. 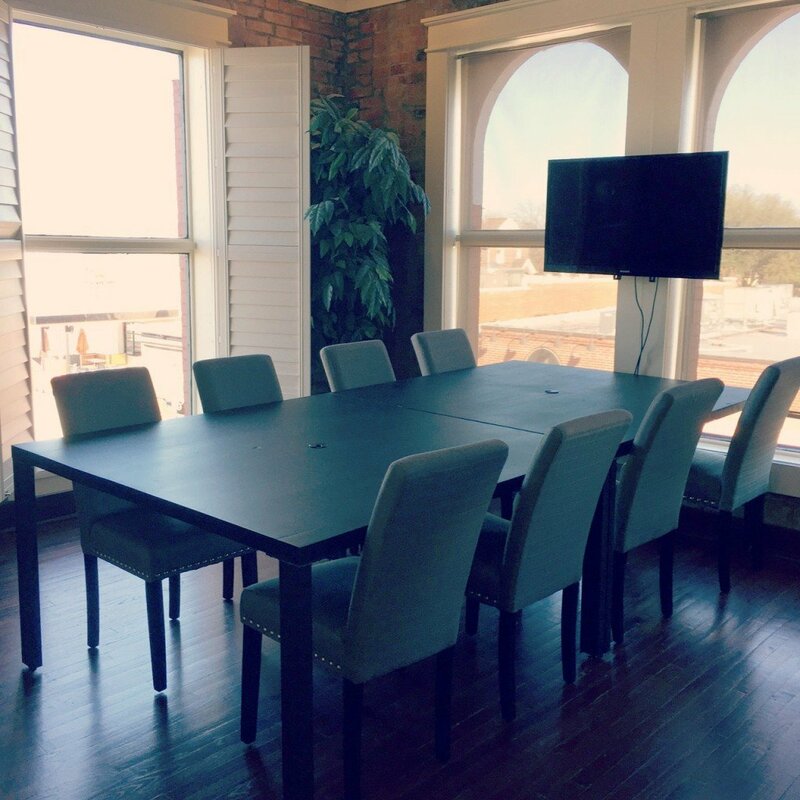 Business meetings, presentations, conferences – they all require a table large enough to seat the attendees. 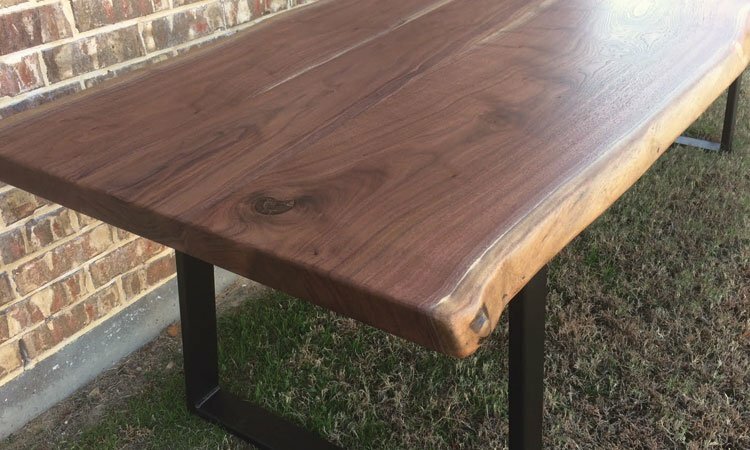 Here at Rustic + Modern, we create custom tables to your exact specifications. You can order something that’s exactly the right size for your room and for the number of people at your events. Don’t settle for a generic, utilitarian conference table, especially in rooms where you’ll be meeting with clients and investors. 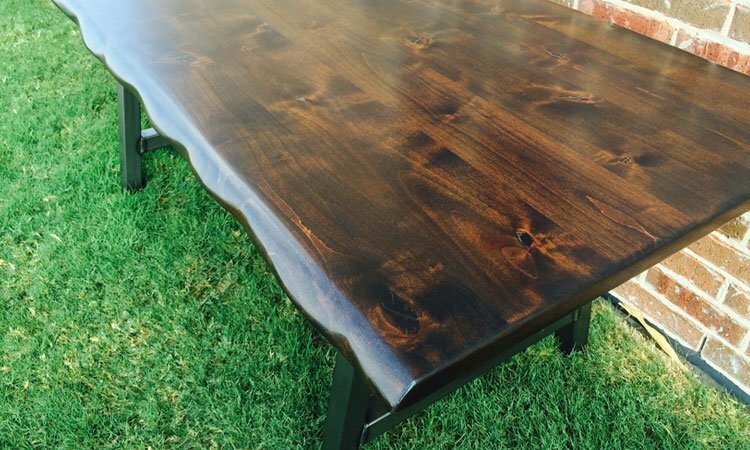 A handcrafted solid wood table shows your good taste and appreciation for high quality. Even if people don’t comment, “Wow, this is an impressive table,” you’ll know the table is figuring into their positive impression of your company. 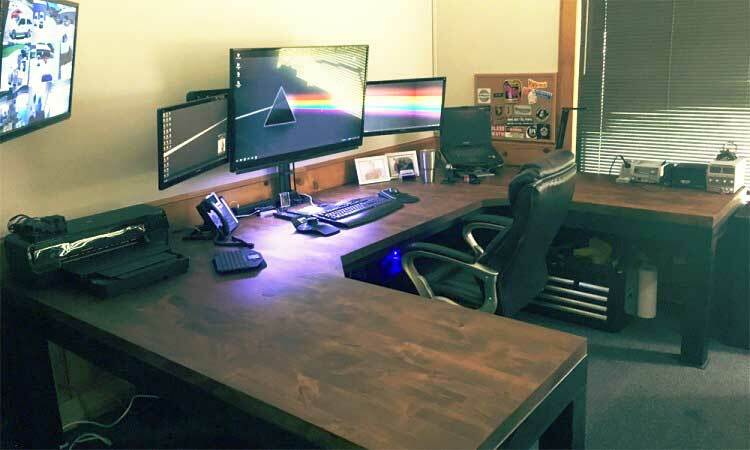 There are several factors in play when looking for a perfect office desk. 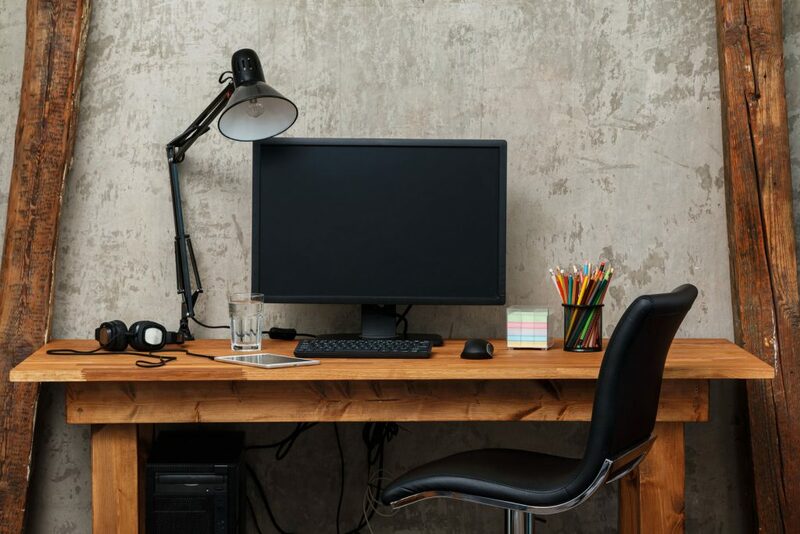 The size needs to fit your work area – small enough to leave room to move around the office, but large enough to hold all your work. You’ll also want a comfortable height for working and a durable material. Solid wood desks provide a classy, professional appearance with the durability you need in office furniture. And because you can customize the height, size, and style of Rustic + Modern furniture, you can make sure the desk fits your exact needs. The reception area provides people entering your corporate office with their first impression of your business. Old, rickety, or cheap furniture gives a negative impression as soon as people walk through the doors. Quality furniture helps ensure a positive first impression. We can provide end tables and coffee tables for your reception area. You choose the size, shape, style, and wood type. Whatever decorating style you’re going for, we can help by designing furniture to match. Barn doors might not be the first thing you’d think of using in an office setting. But sliding doors let you leave rooms open without the doors taking up floor space or accidentally swinging shut. 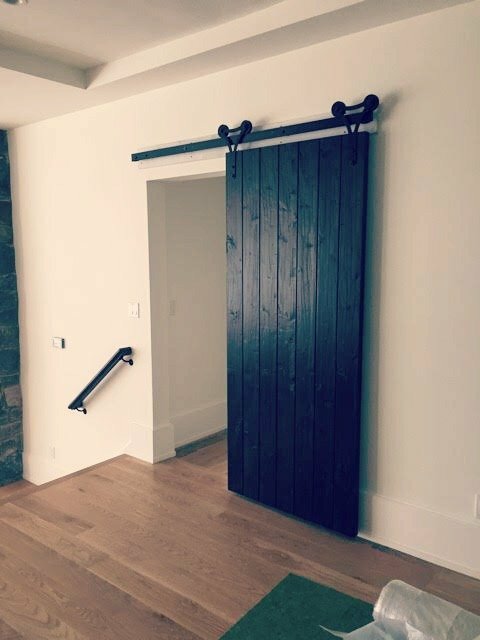 Sliding barn doors are also easy to close when you need privacy. This makes them perfect for meeting rooms and private offices. 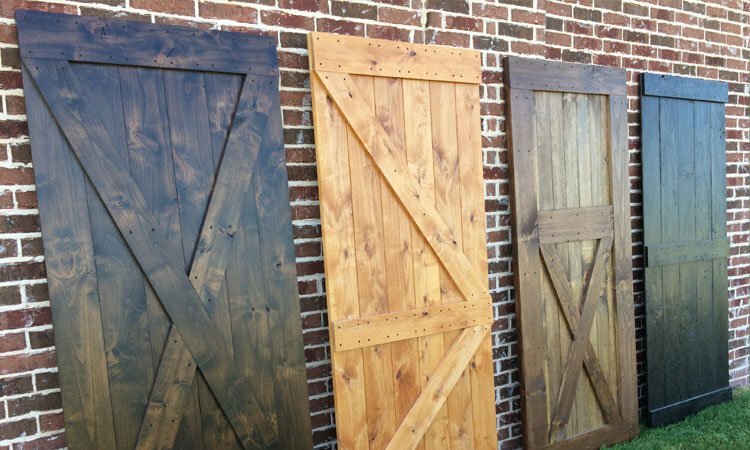 We also customize the look of our barn doors, so you can opt for the more familiar rustic-style barn doors or go for a more sleek, modern look with smooth woods and dark stains. Here at Rustic + Modern, we’re known for detail and craftsmanship. We take the responsibility to create furniture uniquely suited to your exact needs very seriously. We’ll collaborate with architects, interior designers, builders, and you to create handcrafted pieces that are perfect for your commercial environment. Contact us today to learn more. Not everyone has the space for the sort of massive family dining table you see in paintings of Thanksgiving dinners. But that doesn’t mean you need to give up your dream of having a beautiful solid-wood table in your dining room. There are plenty of ways to make the most of small spaces and even make them feel a little roomier than they actually are. In very small dining rooms, there’s not always room for cupboards, china cabinets, or sideboards. Attaching floating shelves to the wall or going with built-in bookshelves helps free-up floor space. You can also add seating in the form of corner banquettes or benches along the wall or as part of the built-in shelving. For extra storage, put cupboards under the seating. Chairs can only seat one person. But benches can seat several and they slide out-of-the-way under the table when not in use. 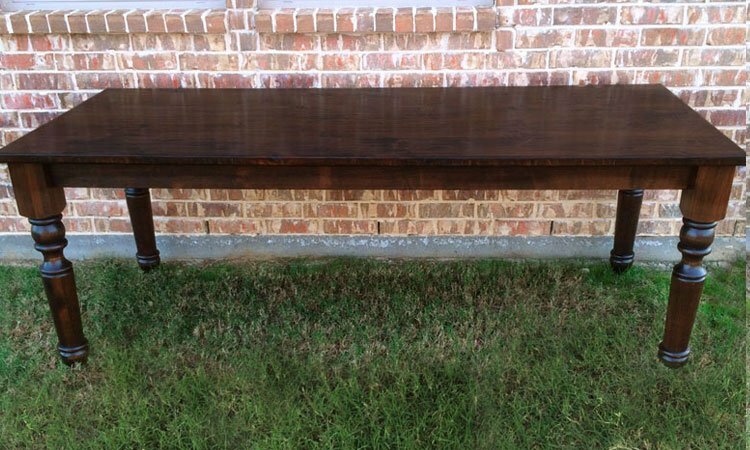 Rustic+Modern offers matching benches for most of our tables. And you save $50 when ordering two or more! Mix-and-match benches with chairs for even more flexibility. 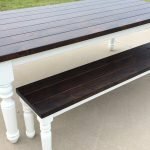 Maybe you have chairs on the ends of the table for every day use and benches along the sides to pull out when entertaining. Natural light is one of your best friends when trying to make spaces seem larger. Windows open up a room and natural light brightens the space. The room won’t actually be any larger, but it won’t feel so claustrophobic. Using a mirror when decorating can also make small spaces feel larger. The reflection tricks your eye into thinking the room is bigger. Plus, mirrors reflect light to help brighten up the room. Lighter paint colors tend to make rooms feel more open. But that doesn’t mean you need to shy away from rich or bright tones. Rather, try pairing a light neutral with one other main color. Simple color schemes are visually striking without overpowering the space or leaving it with a busy or cluttered feeling. For example, a white and light blue room feels open and airy. Then you can add depth by using a darker blue tone in a few decorating elements like curtains, tableware, or seat upholstery. You’re still decorating with just two colors – blue and white – but the variations in blues keep things interesting. Customized furniture will help you make the most of a small dining space. 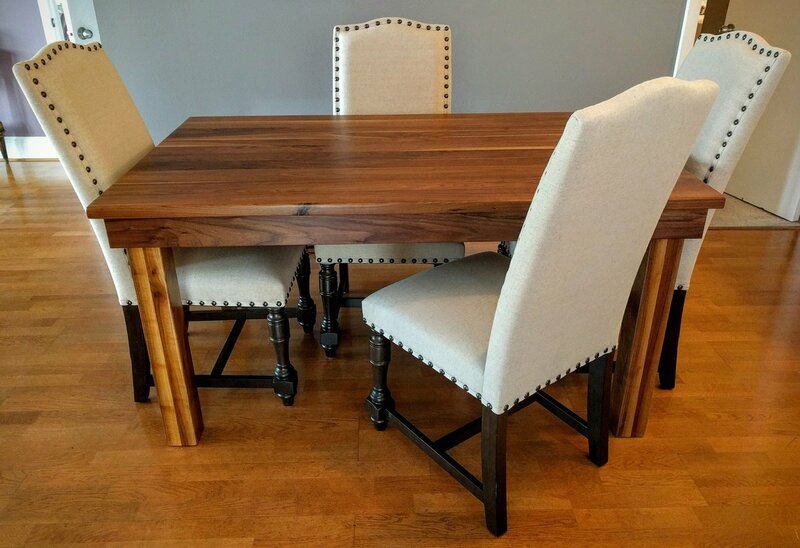 Instead of trying to cram a mass-market table into your space, order a table designed to fit your dining room. Not only will it fit the space perfectly, but you can also customize the style, wood type, and other features. 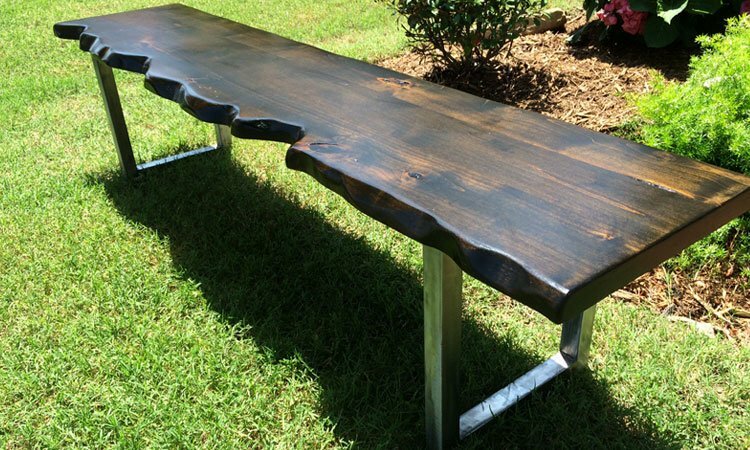 Here at Rustic + Modern, you get to choose 32-, 36-, or 40-inches for the table’s width and customize the length. We’re pretty flexible. Get in touch with us and let us know what you’re looking for, and we’ll see what we can do.